More than 370,000 lives have been saved. 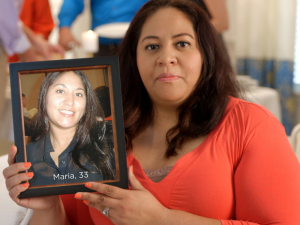 MADD has compassionately served over 840,000 victims. 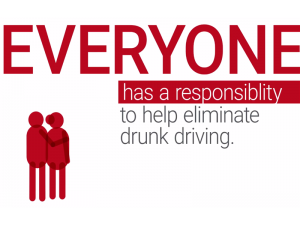 The mission of Mothers Against Drunk Driving (MADD) is to end drunk driving, help fight drugged driving, support the victims of these violent crimes, and prevent underage drinking. It’s a location for family gatherings…a place to share emotional and physical sustenance…the spot where children tell their parents about what happened at school that day. And it’s a place where love and laughter are exchanged during holiday gatherings and family celebrations. And, after a tragedy, the table also serves as an all too painful reminder of those no longer seated around it. That’s why in 1980, it was a small, unassuming kitchen table where one mom started a movement that would significantly change the course of history in the United States. MADD’s position statements and policies approved by our National Board of Directors. Learn about the dedicated board of directors, national president and national board of advisers who provide guidance and leadership to MADD. WANT TO MAKE A LIVING MAKING A DIFFERENCE? Cutting drunk driving fatalities in half since 1980 didn’t happen accidentally. It took a cadre of dedicated volunteers and staff to change both attitudes and laws. Consider becoming a part of our team and join the thousands of others who have helped pave the way for safer streets. Opportunities include implementing community-based programs, working with law enforcement officers, providing victims critical services in their time of most need or a whole host of other positions. Turn your passion into a position. Work at MADD. Can’t find a position that fits your skills but still looking to get involved? Consider becoming a volunteer! You can gain valuable experience and career insights. Go to madd.org/volunteer and fill out a volunteer interest form. Mothers Against Drunk Driving believes your donations and support demand the highest standards of integrity, efficiency and transparency. That’s why we hold ourselves to superior industry and ethical standards. Our financial reports deliver a snapshot of the diverse programs and activities conducted during each calendar year, as well as public information on internal resources. Every Annual Report provides a snapshot of the diverse programs and activities for each calendar year, as well as public information on internal resources. Annual reports are available online as Adobe Acrobat (PDF) documents. The IRS Form 990, or Return of Organization Exempt from Income Tax, is the form used by tax-exempt organizations to provide the IRS with required information. This information is also available to the public. One woman, hardened by grief and strengthened by unwavering determination, started MADD along the road to No More Victims® nearly 40 years ago. She did not remain alone for long. Quickly and consistently, leaders, supporters and organizations joined with us to demand an end to this 100% preventable and violent crime. MADD is grateful for its generous partners and sponsors—all critical to reaching the most important number of all – zero. As in, zero drunk driving and zero victims. Whether you’re looking for answers, would like to solve a problem, or just want to let us know how we did, you’ll find many ways to contact us right here. The “Ballerina” video contrasts images of a car crash with the joy of a mother watching her daughter perform at a dance recital. 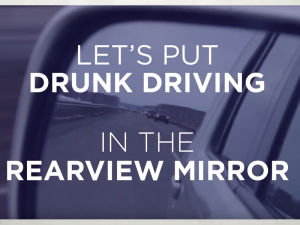 The “Rearview Mirror” video shows a mother driving and talking about road safety, then gazing at her smiling young daughter in the rearview mirror. Will You Walk With Us? 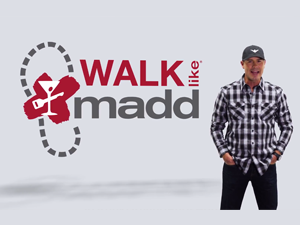 Walk Like MADD today and together we will eliminate drunk driving tomorrow. The gift of your time makes a lifesaving difference. Raise your voice. Stop the violence. Misinformation and myths are part of the problem. Get the facts. YOUR CONTRIBUTION HELPS SAVE A LIFE. SUPPORT MADD.